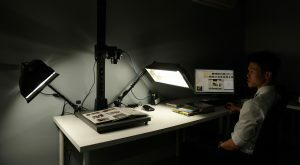 Digitisation process at AAA Project Space for Ha Bik Chuen Archive at Fota. Photo by Kitmin Lee. Courtesy of Asia Art Archive. 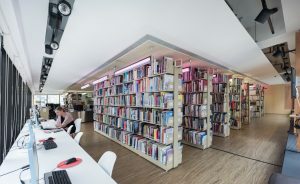 AAA Project Space for Ha Bik Chuen Archive at Fotan. Photo by Kitmin Lee. Courtesy of Asia Art Archive. 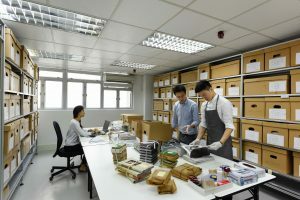 Asia Art Archive Special Collections Room. Photo by Kitmin Lee. Courtesy of Asia Art Archive. 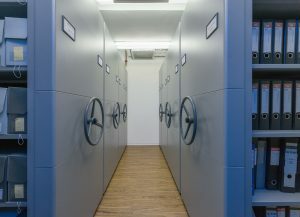 Asia Art Archive Library. Photo by Kitmin Lee. Courtesy of Asia Art Archive.